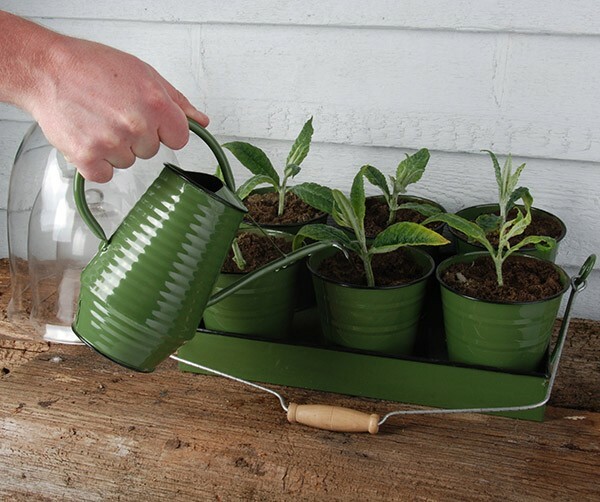 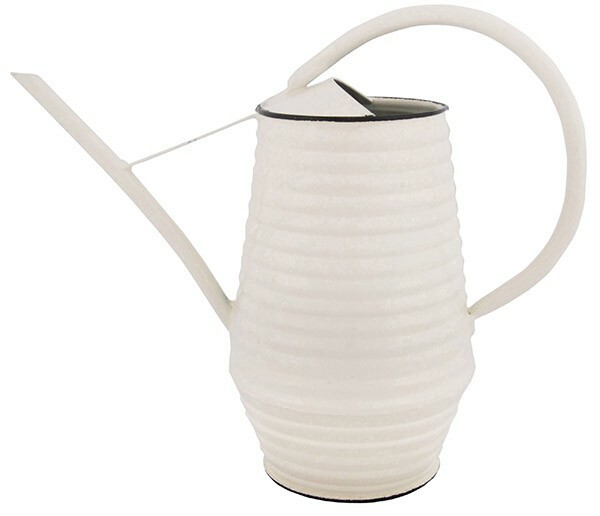 Hose guide watering can A.R. 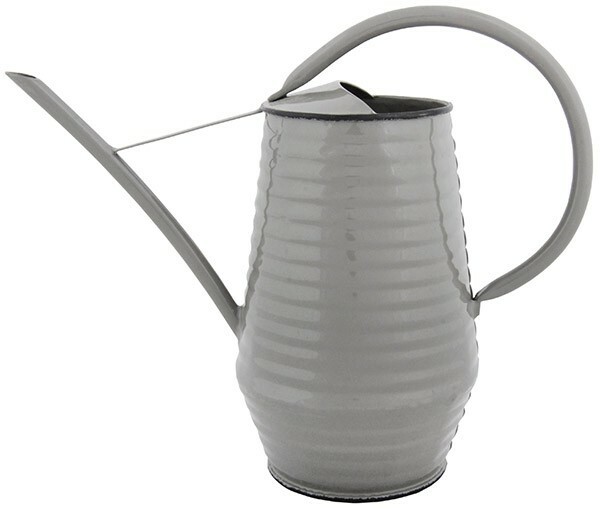 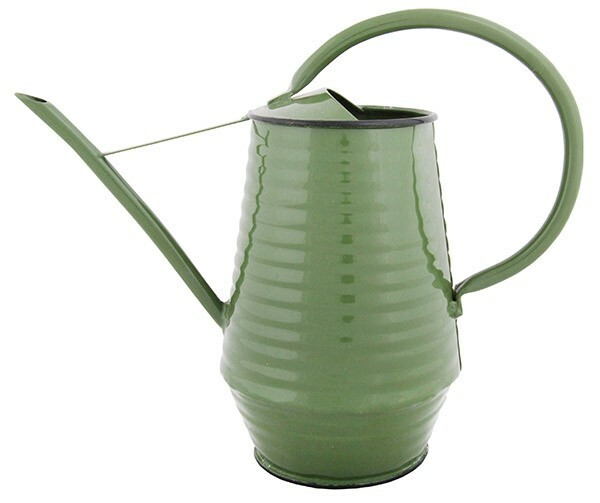 Watering can zinc, volume: 0.9 Liter. 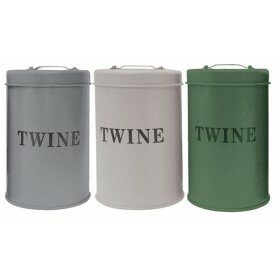 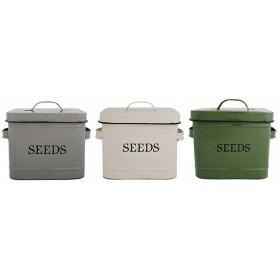 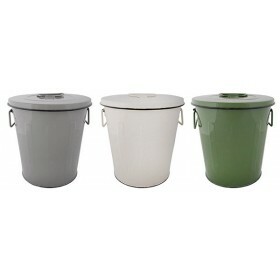 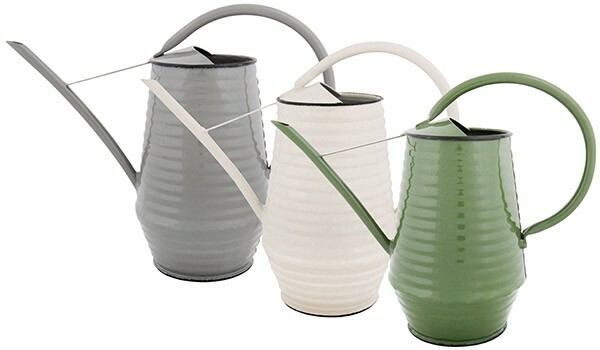 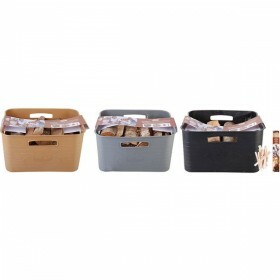 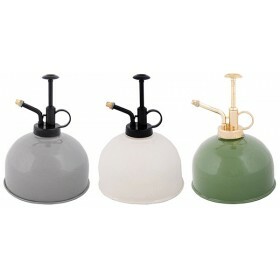 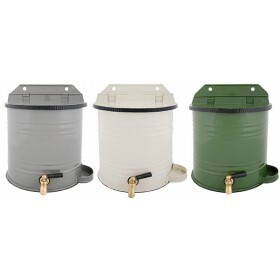 Assorted colours: gray white or green.